My style of newborn photography is relational and natural. I won't be forcing your new baby into unnatural positions. I will be capturing your family enjoying and spending quality time with the newest addition. My newborn session is really a newborn and family session all in one. I make sure to capture special time with the baby and mom; the baby and dad; and the baby with any siblings. The ideal time frame to capture a newborn's newness is when the baby is between 3-14 days. (I won't turn anyone away after that time, but the photos will look different because the baby is awake longer.) 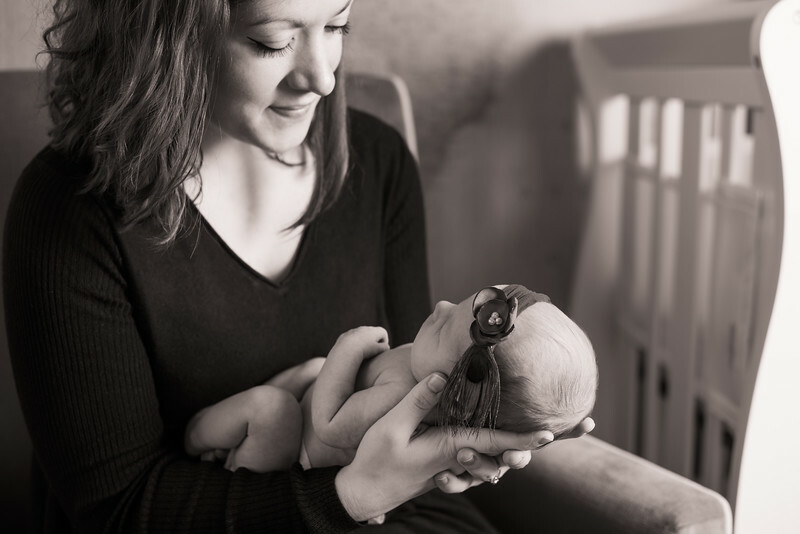 The newborn sessions are always done in the comfort of your own home! Cost: $325 plus tax Time: 3 hours in your home! 9 complimentary digital files are included. Curated images are edited and uploaded to a secure online gallery for your convenience.